I went on a bit of a hunt preceding World Grenache Day on 20th September this year, for an article that never got written. All was not lost; Cirillo’s The Vincent was a particularly delicious discovery. Made from 80-year-old vines, this is a cracking wine – especially for the price. 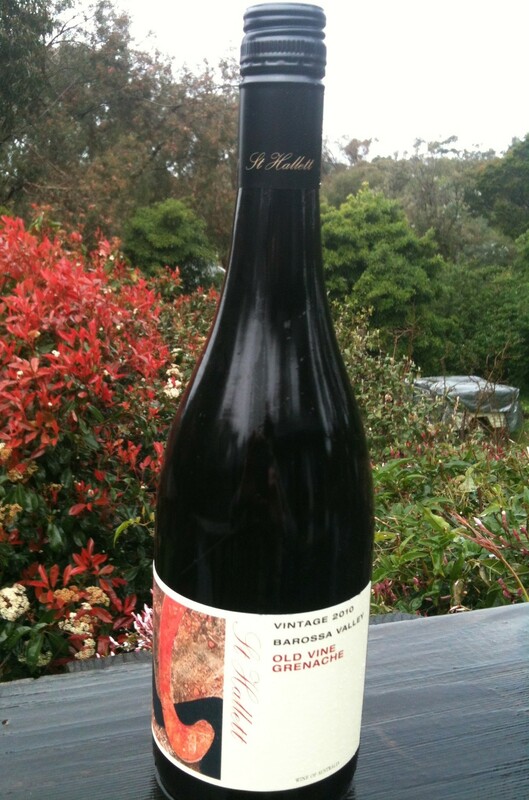 Pale ruby in colour, it has a pretty classic young Grenache nose – white pepper, raspberries and red plums. It’s little more than medium bodied, plush, juicy and generous on the palate, bursting with plums and soft red fruit. The tannins are ripe and slightly powdery and the finish pretty, long and with a touch of spice. Deliciously drinkable. Medium ruby in colour, this wine was a subtle surprise. It was picked early, ending up at a relatively modest 13.5% alcohol. The label also draws attention to extended time on skins and a bit of ‘whole bunch action’, some stalks and stems in the fermentation to boost tannin and savouriness. The nose is floral, with red cherries, raspberries – quite Pinot Noir-like – and a hint of black pepper and liquorice. That ‘pinosity’ is also there on the palate, which is soft and juicy and kind of cool (as in climate). 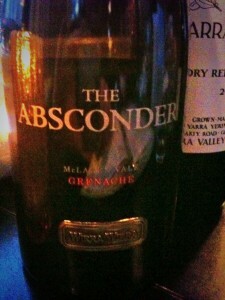 Not a term associated with the Barossa or Grenache. We’re still talking raspberries, red cherries and blackberries, with a little bit of oak smoothness. The chalky tannins and fresh acid see the fruit through to finish alongside black pepper, gentle spice and a bit of cherrystone tang. Maxwell of McLaren Vale makes some excellent wines that generally offer great value for money. 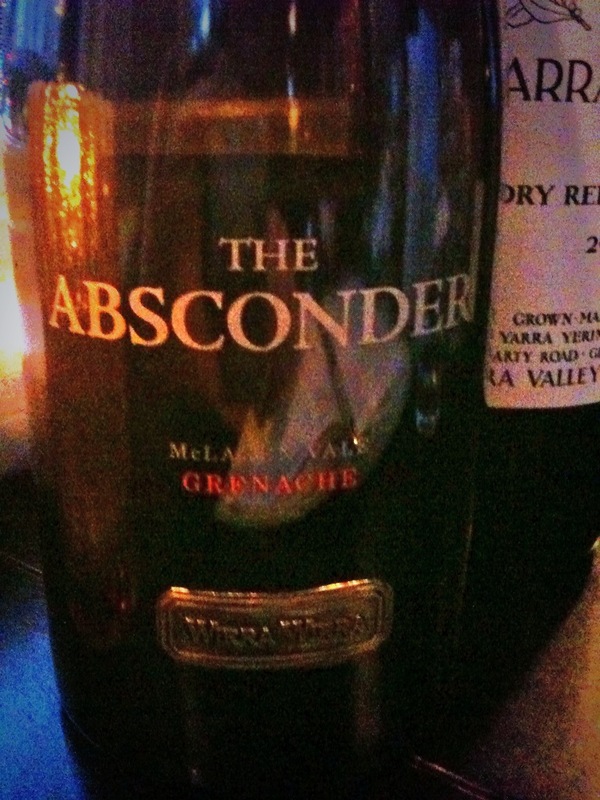 This Grenache is no exception, a clear expression of the grape variety and region and totally drinkable to boot. These vines were planted 90 years ago, high up in the vineyard. The intense nose features violets, plums and red cherries and the palate is full bodied, concentrated and focused. Plenty of juicy, fresh raspberry fruit with a bit of spice and chocolate coming in. The Barossa Valley and McLaren Vale make a wonderful home for Grenache, with some seriously gnarled old vines producing pure, concentrated and smooth wines. Here are just a couple. This Grenache shares the top echelon at Wirra Wirra alongside the RSW Shiraz and Angelus Cabernet Sauvignon, each of them exceptional and presented with true class. This is a very attractive medium purple in colour, with raspberry, plum compote, pencil lead and liquorice on the nose. It has juicy red fruit, raspberry, strawberry and a touch of vanilla. Silky smooth, full bodied, with a good level of powdery tannins and fresh acid providing a long and delicious finish of raspberry, liquorice and chocolate. It’s a lovely wine with great concentration and purity. Savoury and balanced, you just want to go back for more. Drink with venison sausages. Drink now to 2018. These Cirillo Grenache vines, planted in 1848, claim to be the world’s oldest. The wine, matured in a mixture of French and American oak, has the complexity and interest you’d expect. It’s medium ruby in colour, pink-orange at the rim and it smells of fresh raspberries, rhubarb crumble, custard and a lick of leather. The intense, full-bodied palate has plums and pretty strawberry and raspberry fruit, orange peel and a touch of milk chocolate and cream. It finishes long with fresh red fruits shining through.